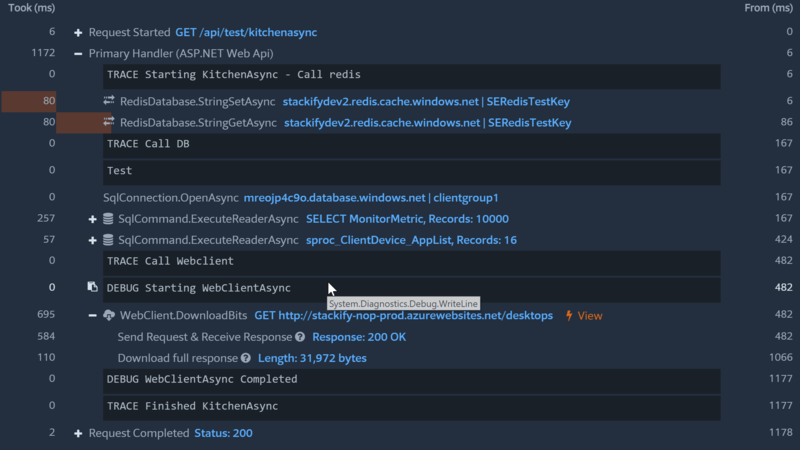 In this article, you'll learn how to get to the bottom of code performance issues using ASP.NET tracing, and a free tool that helps make tracing easier. By default, ASP.NET collects a lot of details like cookies, headers, response status code, and more. These basics can be very helpful, but being able to see your own tracing statements is even more valuable. You can log them as multiple tracing levels. Including warnings, information, error, and just trace. Understanding what your code is doing is essential to validate that your code works. Tools like Prefix help answer that critical question of “what did my code just do?” Prefix gives you instant visibility to what your code is doing, way beyond just basic ASP.NET tracing.